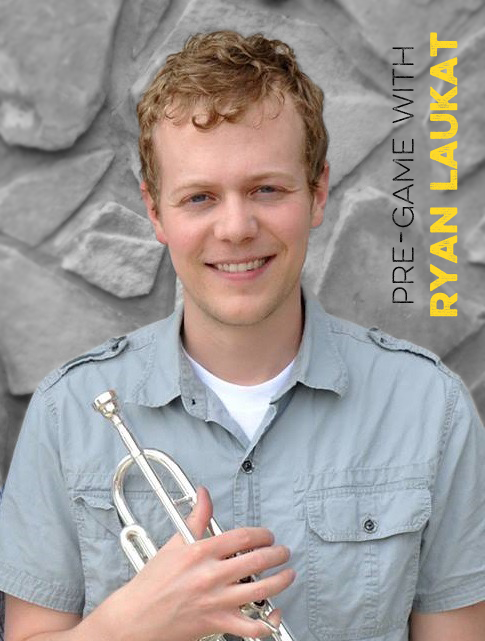 Ryan Laukat is the classic renaissance man. He is the founder and president of Red Raven Games, the designer and illustrator of Empires of the Void, City of Iron, Eight-Minute Empire, Eight-Minute Empire: Legends, The Ancient World, and more. He pretty much does it all, which is something that few game designers can claim. How does he do it? Read on, dear reader: READ ON! I’m a game designer, illustrator, and publisher living in Salt Lake City, Utah with my wife and two kids. I started my own publishing company, Red Raven Games, three years ago. It seems like for the last 6 months I’ve almost exclusively been playing my next game design, War of the Void. But I did find time to get in a play of Martin Wallace’s Brass, and it’s one of my new favorites. I love Race for the Galaxy. It’s been a big influence on me as a designer. I’m also a fan of Twilight Struggle and Tales of the Arabian Nights. When I was young, I was a boy soprano. I used to get paid to sing for all sorts of commercials. I even sang Mozart’s Queen of the Night as a solo on public television. When I get into a project, I’m an obsessive worker. Some days I don’t take time to eat or get dressed or shower because I’m so focused on getting a project done. I’ll start working as soon as I get up and keep going sometimes until 1 or 2 in the morning. I’m not a very organized person. I have a fear of paperwork and anything like it, and I tend not to keep any kind of schedule. I am very good at remembering things though, so I think that helps me get through. I rely on my wife quite a bit as well when it comes to getting the official stuff done. I come up with all sorts of game ideas all the time. My wife says it’s like a faucet I can’t turn off. Any time an idea pops into my head, I write it down and try to design the whole thing on one piece of paper. The next day I take a look at it to see if it’s worth spending more time on (most ideas get thrown in the trash at this point). If it sounds good, I make a prototype as quickly as possible and play it the same day. If it isn’t terrible, that’s when the iterating starts. I tweak the mechanics again and again until it’s just right. I like to describe it as a journey through the forest. I’ll go up one path, and it’s a dead-end, so I have to go back and try another path. That one’s a dead-end too. In fact, there are so many dead-ends that I’m just about to give up, but I try one more time and I reach a gorgeous waterfall! I’m a regular listener of the Ludology and Game Design Round Table podcasts. I love listening to people talk about design. Photoshop is my best friend. I do almost everything on Photoshop, from prototyping to graphic design to painting and illustration. I also use InDesign for rulebooks. Good old sticky-back craft foam is something I couldn’t do without either. I playtest as often as I can cajole people into doing it. In the early stages of design, I playtest mostly by myself (or sometimes with my wife). Once the game seems pretty solid, I’ll try to get it played at local game gatherings or conventions. Because I’m also the illustrator of my games, I even get a bit of the art done to entice people to play it (which means I’m pretty invested in it at that point). The third phase is when I ask for groups volunteers to print and make a copy of the game themselves and play it without me around. At that point I’m mostly focused on balance. 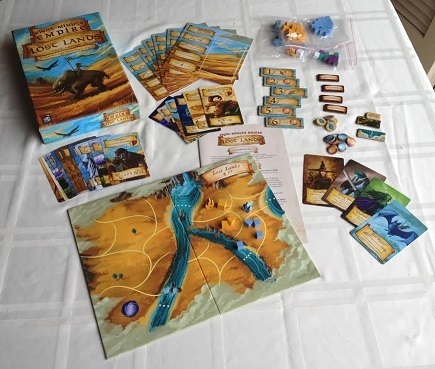 You can see the hundreds of forum posts discussing balance for some of my designs on Boardgamegeek.com. Trying to make game design a career while holding a full-time job. I had to learn patience for this one. And I’ve also had to learn to know when to take a break. Red Raven takes a lot of time (because apart from running the company, I have to design and illustrate all the games). And my family is really important to me. So a lot of the time I’ve had to cut things out of my life like tv, video games, and other entertainment. I work for 3 hours a day at Cannonball Musical Instruments, a manufacturer of Trumpets, Saxophones, Clarinets, and Flutes. I’m a musical instrument hand-engraver, and I also playtest trumpets there. I used to work more hours there, but Red Raven has grown a lot this year and needs more time and attention. For about 3 years I worked full time at Cannonball and Red Raven, and it was extremely taxing on my health. I currently spend about 40 hours a week on game design or illustration. Another 10-20 hours is spent answering emails and stuff like that. I don’t know if this is the best, but I like it: If someone offers you help, take it. Design as many games as you can. You get better at it the more you do it! I’d like to see Alf Seegert answer these.